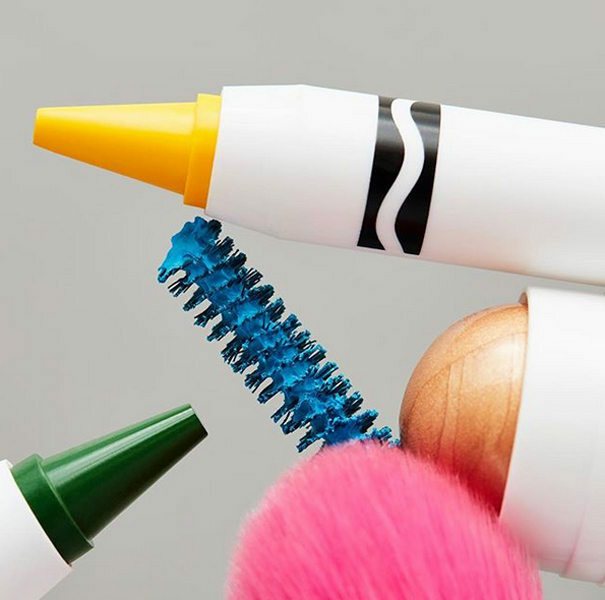 Children's art supply brand Crayola has released a 53-piece color cosmetics line in partnership with Asos. The vegan and cruelty-free line offers 95 different shades in the brand's signature crayon packaging. The collection includes face, highlighter, lip and cheek crayons, as well as face and eyeshadow palettes and mascaras. The cosmetics crayons feature labels modeled on Crayola's original branding, making them look like nostalgia-inducing giant versions of the company's crayons. Sets are presented in bright yellow boxes with the iconic Crayola green chevron. The only thing missing in the boxes is the brand's famous built-in sharpener, a key heritage highlight that could have resonated on both a nostalgic and practical level with contemporary consumers. Asos announced the exclusive collection on Instagram saying, "Say yellow to Crayola beauty, exclusive to Asos. From lip crayons to highlighter sticks, we've got a whole lotta new for your makeup bag." For its part, Crayola explained in a release that the collection is "inspired by Crayola’s true spirit of self-expression and personal creativity." Crayola Beauty seems like a market-right move for both companies in light of the beauty trend for stick-based soft-solid cosmetics. And as crayons dominate eye, lip, highlighter, and cheek products, and Crayola is arguably the most iconic crayon brand in pop culture, the partnership looks all the savvier. Asos has the exclusive launch of the product which is a win for the retailer who relaunched its private label beauty line, Face and Body, last September. Price points for Crayola Beauty range from $15 to $40.